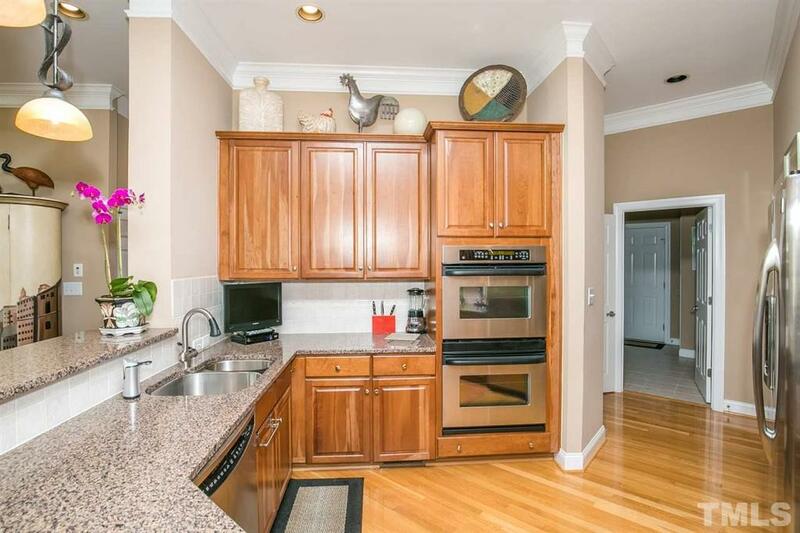 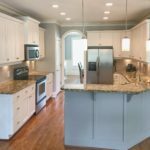 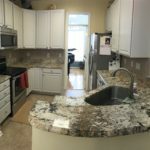 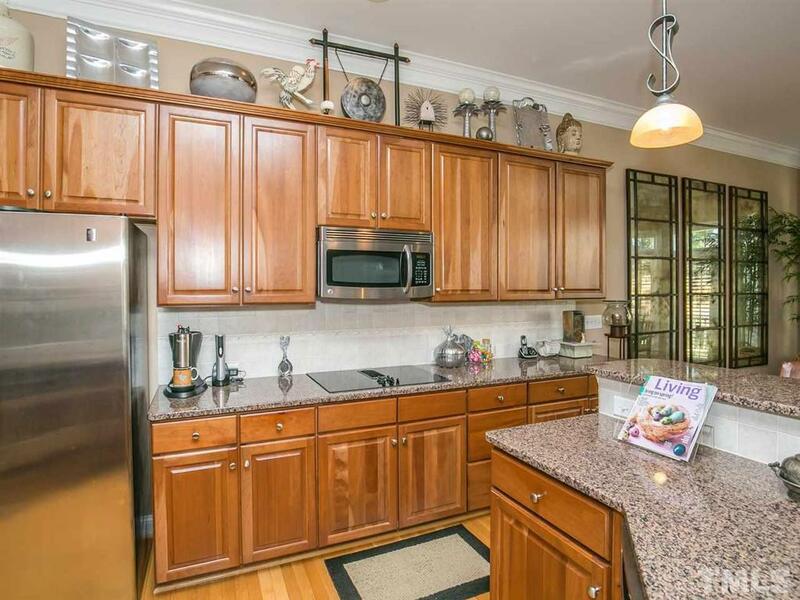 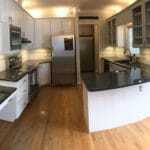 What a transformation this kitchen got! 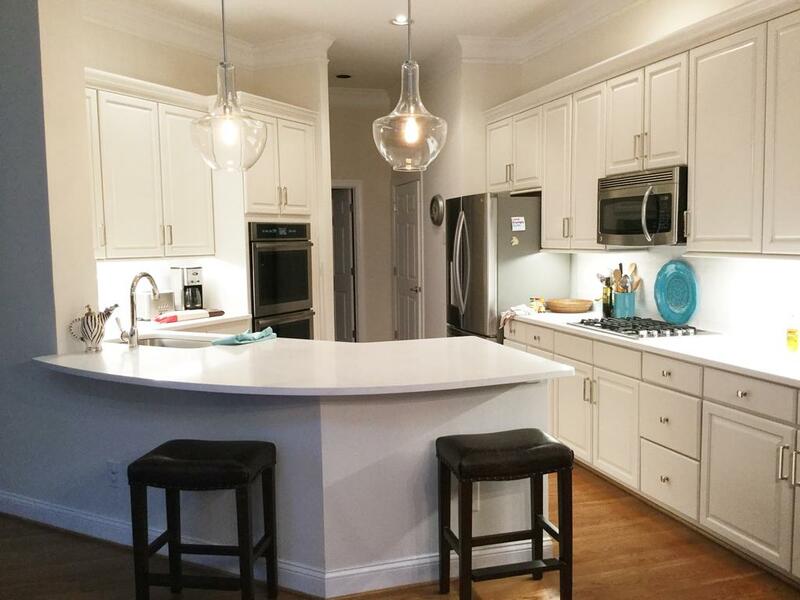 From traditional, to totally modern. 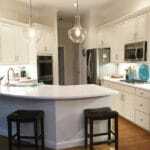 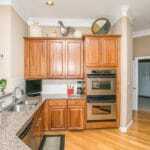 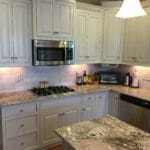 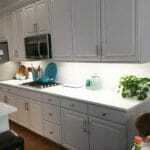 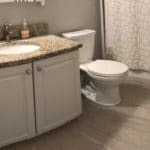 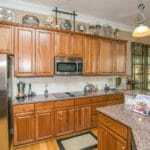 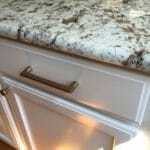 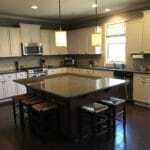 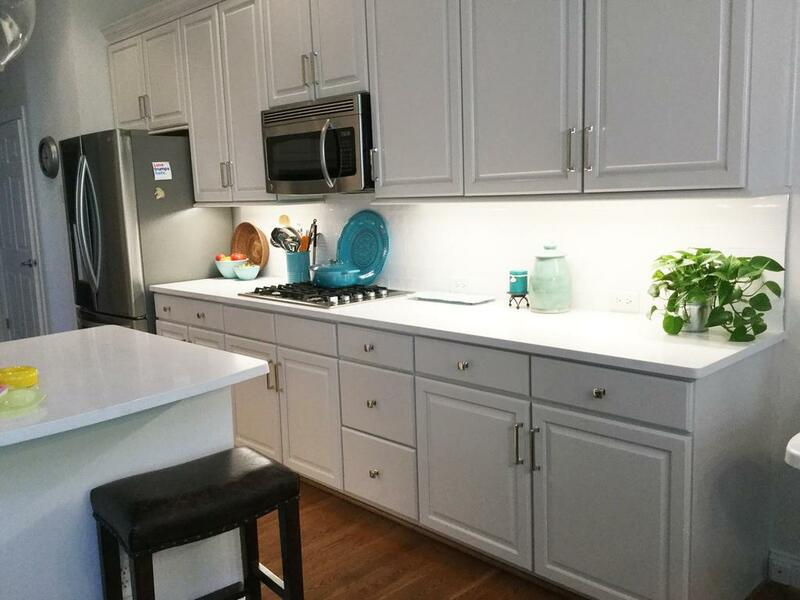 The cabinets were painted with Balboa Mist. 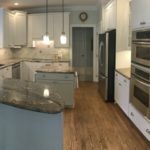 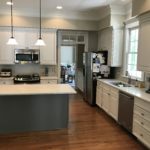 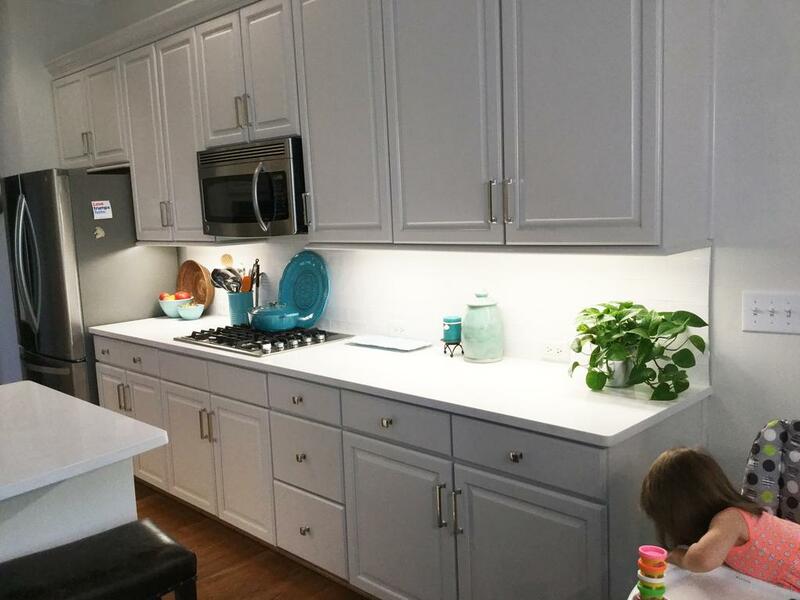 The addition of white quartz counters, new chrome pulls and knobs, and updated lighting totally changed the look of this kitchen and now everything pops.